Thought it would be easier to cut'n'paste from previous post. 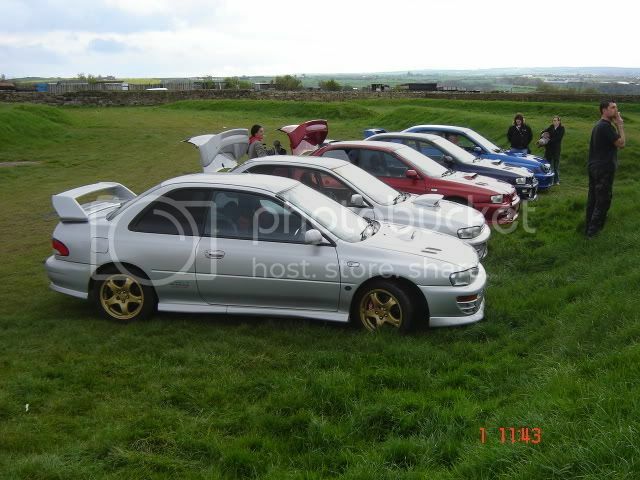 Even then there are differences between the v.ltd's (WRC) and the std type r's. Best wait for one of the other owners to come on and let you know the exact differences between a sti type r and an sti. Think the main differences are the shell (2 door), and the drivetrain..different type diffs/ratios, different ratio gearbox (closer gearing) and the famous DCCD. (in car adjustable centre diff than controls the torque split from 35/65 to fully locked at 50/50. ). Last edited by doug2507; 29 July 2006 at 10:32 PM. You have to drive one back to back to make that comparison. More smile for your money - basically. And, a little more exclusivity over the 4 door cars, even the RA's and other specials. Well how many people can I upset. 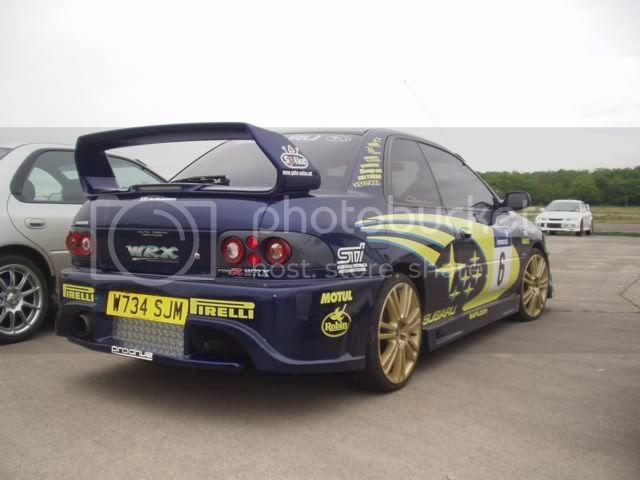 I have just bought a VEr6STI Type R and given it to a rally car builder who has just removed everything to weld a cage into it and do his stuff to turn it into a rally car. I got some bits to get rid of interior bits mainly. Not me. Thats what they were made for! Not going down to tesco's. Jesus! Has he got any more??!!! 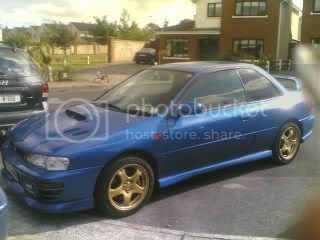 hello all, first time posting on this site, ive just bought my first scooby!!! shes a my98 type r standard apart from exhaust and apexi controlllers, unbelivable to drive but very wary of the horror stories!!!!! blown engines, blown engines and blown engines!!! people make them out to be made of chocolate, don't know much about them myself admittedly just keep hearin warnings from people! makes me a little paranoid at every noise and creak! And welcome to the 'R' corner..
Last edited by DARKDESTROYER9; 06 August 2006 at 08:20 PM. lovely looking car mate, very clean. Just make sure you post a few pics of the "wide bodied variety" when you get it... Best of luck with the sale! on a simalar line the other day my son had knocked my dccd into lock and i didnt notice untill i went to move away from a tight parking space which required full lock of the steering, there was a cluck and the car was unwilling to move is this normal? or do i need to be worried about my diff? The thing is Doug, I have another "wide bodied" car itch that needs scratching before I come back to Scooby land I'll still post pics up to show you guys whats been nagging away at me for about the last 6 months when I get it sorted.